Most of the people must have certainly experienced or at the least, heard about the problems caused by the rats in the attic and overheads. Somehow Rats just seem to love the human abodes, ‘cause they are the perfect habitat and have everything a rat will ever need! So, if you see signs of rats on the roof or in your attic, it’s time to do something about it, as soon as possible, before it becomes very serious. 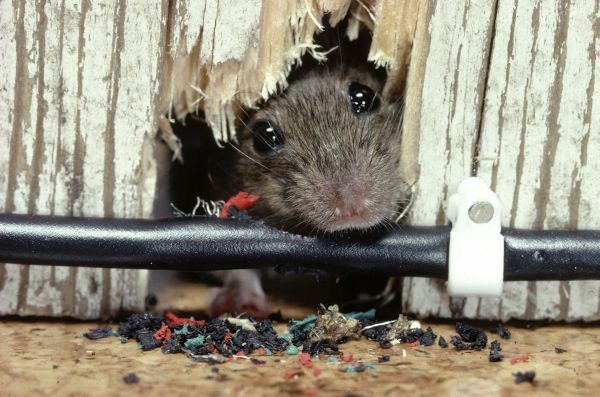 Let the Rodent Pest Control in Perth inspect the roofs and find out the infestation. What are the signs of Roof Rat Damage? It is quite common to dump things that are not frequently used up in the attic or the overhead space available. These spaces are also dusty, dark and ideal for a rodent. Rats can also chew your wooden roof, so if you find sawdust around or hear the chewing noise, take the time to check if it’s a rat. Also if you have clothes in your attic, don’t be surprised to find them chewed. Rats have a special affinity towards wire and their insulation. Sudden change in your electrical bill, could be caused by this too! So also check for ruined insulation. Besides these, there could be a lot of other ways, depending on the things in your attic to identify the early signs of a rat attack. Rodent proofing is a good way to start with. This will prevent the rodents from entering into your place. This is the only effective method to prevent roof rat damage. Besides, you should keep the place clean and tidy and regularly check for any signs of rat infestation. One can also try rat motels or sprays to keep away the rodents. The Rodent Control in Perth can suggest you the best treatment. Will Proofing work after the rat’s infestation? Waiting should never be an option. You should not wait until the situation gets worse and then think of solutions. Proofing and decontamination should be considered even before the infestation. But once the rats are in, it is ideal to go with decontamination. If the rats are not in yet, then proofing alone with help you to prevent the rodents.